3 small pieces. Lemon outer peel. – Put red onion,ginger,red chilli,garlic clove,lemon peel,shrimp paste,lemon grass purée,salt in the electric blender and blend it well until the mixture forms into the paste. – Heat coconut oil in a good non stick pan. – Scoop 2 tbs of the chilli paste into a medium heated oil pan, fry gently. 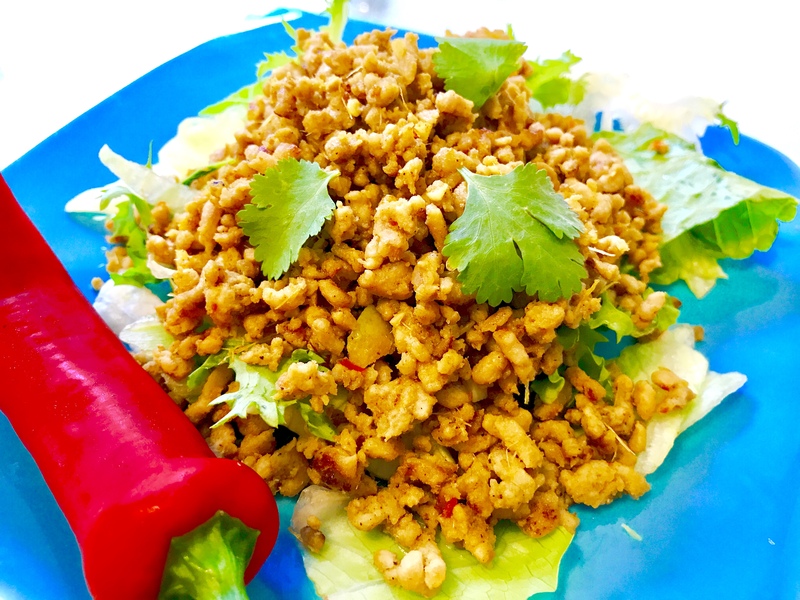 – Put mince pork in the pan and cook until the meat turn brown. Follow by curry powder,sugar, pinch of salt. Keep stirring until the mince become dry with no liquid in the pan. 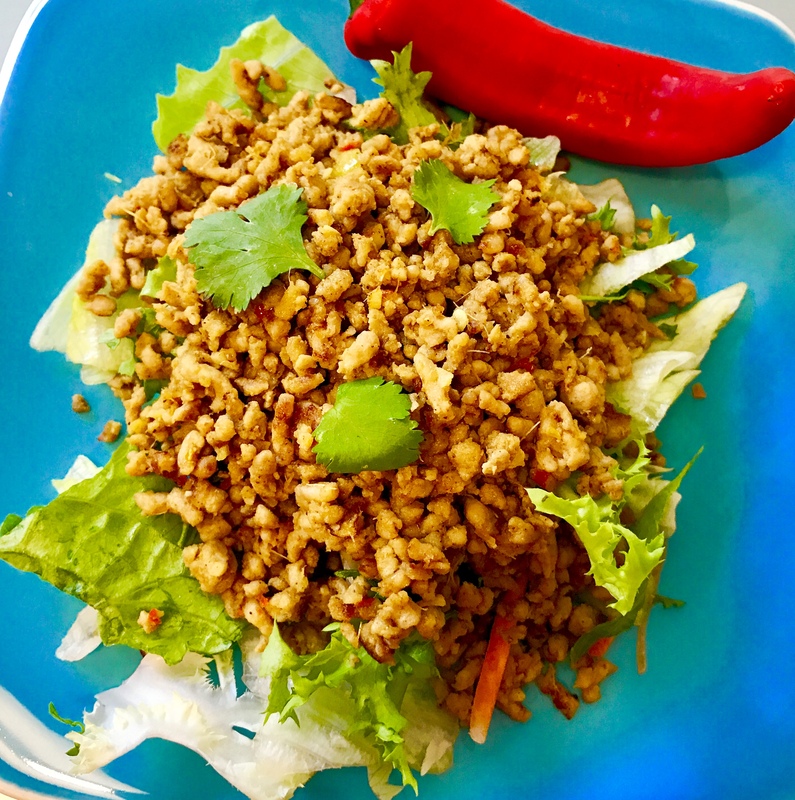 – Serve Skinny Mince Pork In Southern Spices with salad or Thai Jasmine rice.